Since the first Paralympic Games were held in Rome in 1960, the Games have been held in many locations across the globe. The Rio de Janeiro Games in 2016 were the 15th Summer Paralympic Games, which have been held in 13 separate cities. The Pyeongchang Games in 2018 were the 11th Winter Paralympic Games, which have been held in 10 separate cities. 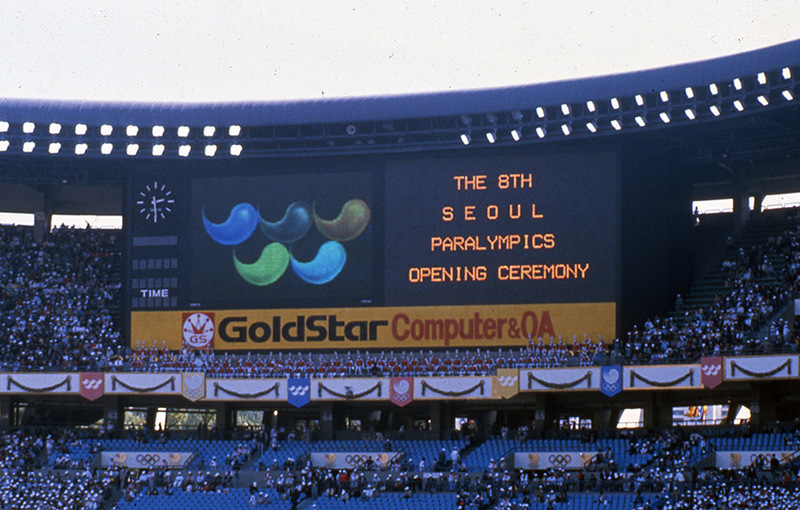 Only three cities have hosted or are scheduled to host multiple Paralympic Games: Innsbruck held both the 1984 and the 1988 Winter Games; Tokyo, which hosted the 1964 Summer Games will do so again in 2020; and Beijing will follow up the 2008 Summer Games with the 2022 Winter Games. While the Paralympic Games are normally held in the same host city and year as the Olympic Games, a precedent begun in Rome in 1960 as the aim of Sir Ludwig Guttmann, this has not always been the case. In fact, it has only been since 1988 that all Summer Paralympic Games have been held in the same city that hosted the Olympics, with a short gap between each. Since 1992, when both the Winter Paralympics and the Winter Olympics were held in the region around Albertville in France, the Winter Paralympic Games are held in the same city that hosts the Winter Olympics. Selection of host cities can be fraught process, and there have been some unusual geographic splits between the sites of the Paralympic and the Olympic Games. Concerns existed about altitude and its potential impact on athletes with disabilities in Mexico City, which hosted the 1968 Summer Olympics. Before these could be properly investigated, Mexico withdrew its offer to host the Paralympics that year, citing financial and accessibility difficulties. Tel Aviv stepped in. In 1972, Germany held both summer games but located the Olympics in Munich while the Paralympics were hosted by Heidelberg. Canada followed suit in 1976, with the Paralympics in Toronto and the Olympics in Montreal. When games organisers had not heard from Moscow about the willingness of that city to host the 1980 Summer Paralympics alongside the Summer Olympics, despite repeated requests for a response, they awarded the games to Arnhem in the Netherlands. In 1984, the last time the games were geographically separated, a dual split occurred. While Los Angeles hosted the Summer Olympics, the Paralympics were held in two competitions: Stoke Mandeville in the UK hosted wheelchair athletes with spinal cord injuries while all other athletes competed in New York. And in 1992 in Spain, while Barcelona held both the Summer Paralympics and the Olympics, a separate games were held in Madrid for competitors with an intellectual disability.